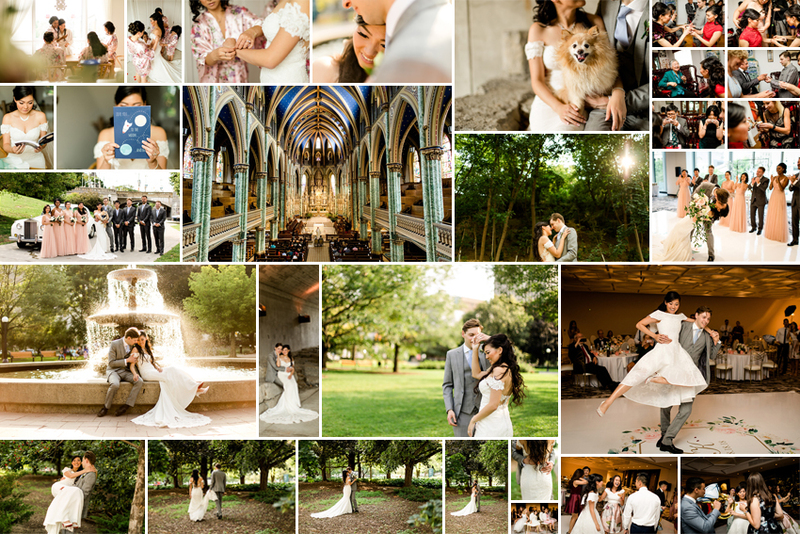 Julie and Kris chose to have their wedding at Ottawa’s incredible Notre-Dame Basilique Cathedral. With it’s ornate altar, endless columns and beautiful colors, it was a perfect match to Julie and Kris’ custom designed wedding day. After a touching ceremony and a photo session around the Ottawa core, we headed over to the brand new National Arts Centre for the gorgeous reception. It’s the first time we have had the chance to photograph a wedding here and it has to be one of our favourite venues in Ottawa now. The beautiful building with amazing views was the perfect match to Julie and Kris’ celebration. What made it even more special is that Kris’ family is Polish so we had an immediate special connection. On top of that, we had a chance to reconnect with previous couples whom we’ve had a pleasure of working with in the past.Julie and Kris, thank you for having us part of your celebration. We wish you many years of happiness and we leave you with our favourite photos of your day.